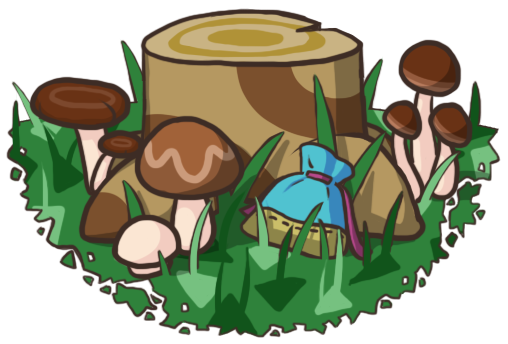 Dafdilly now has enough greenery to be considered a perfect town in the eyes of town residents, and the game’s standards! 😛 Quite the milestone and achievement for my new town! 🙂 Other happenings include a makeover for my character Melody, and a reward from the HRA. After my WiFi session with Kammile on Saturday, I got a nice letter from StarCity’s Kabuki! I was pleasantly surprised since I don’t try to get high HRA scores, but when I thought about it, my score is actually kind of pathetic since I have a mansion! 😛 Eventually, I may strategically and temporarily arrange my rooms to get the other house models, but I’m not in any hurry to do so. A picture taken today of what the one-story model looks like. It will just sit in storage unless I decide to do a town model room one day, but it’s still a cool collectible to have. Nothing good at Redd’s Monday, I have these things. 😦 Stock a cabin chair, please! Olivia’s garden here has been working hard to grow me blue pansies! One even sprouted on the sand. When I showed Kammile around my house Saturday, she was honest in telling me that she didn’t think Melody’s room décor matched up with her name. To be honest, I just liked the idea of having a modern/chess room, so I gave it to Melody since she was the last character. 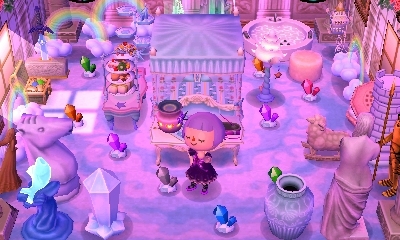 But I thought about it more and decided to give Melody a new, more fitting personality (well, more like taste in furniture/clothes) and transfer her old personality/tastes to a character who will live in my second AC:WW town, Trildale (once I find it). The first step was to give her new hair and clothes. I also updated the beds in the attic. Twisk has a mush bed now, which I brought over with my original character (who lives in my dad’s town), and Melody has a blue bed. Twisk will get her own room — a mush room — in October. I’d rather steadily earn all the mush furniture again through Dafdilly’s first Acorn Festival, rather than unceremoniously bringing the series over with my original character. Tom Nook had one of his “episodes” today, but I feel like it would have made more sense if he still had Nook’s Cranny. It feels like he should be pretty satisfied now, without a shred of bitterness about dreams or money, that he has the highest level department store possible! 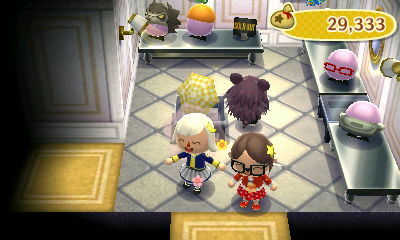 Posted on August 17, 2011 by Amy •	This entry was posted in AC:WW, Dafdilly and tagged Animal Crossing. Bookmark the permalink. Would you like to WiFi sometime Amy? I would love to meet ya’ 🙂 Well I’m free pretty much all week. Tell me what you think! Yeah, I would love to as well! 🙂 Weekends are best for me now that school’s started; maybe Saturday would be good. I think everyone gets the same episodes, but it’s easy to miss them if you don’t check the shops. I haven’t seen any episodes from the Able Sisters ( 😳 so it was cool reading them on your blog instead), but I saw the one that you posted about Nook the 12th, when he was talking about his past. I agree, it’s fun hearing about their pasts! There’s a guide on GameFAQs with all the episodes, though I haven’t read them. I’d rather first see them happen in my game. Here’s mine, it looks like you’re 6 hours ahead of me. We can arrange it more on a page in your blog; maybe some other people could come, too! Oops 😳 i forgot…congratulations on your perfect town!! Thanks! 😀 Looking forward to the golden can, but meanwhile I’m enjoying the jacob’s ladders popping up. without some of my viewers knowing 😦 i kept active because i can’t stand leaving a single thing from my blog 🙂 (Especially Comments!) Well,all i can say now is good luck with College! I used to spell College with Collage when i was still young,good times. Wouldn’t it be cool if you, me, Jemma, and Teru all met up? Maybe we could do that Saturday, what do you think? Sunday 12pm right? Party at your town? Did you add me to your friend roster? I’ve added you 😛 Well anything special I gotta bring? Thank you soooo much for inviting me! I don’t think so, you might actually want to keep room in your pockets since I will probably give out presents. 😛 Looking forward to it! you online? i’m looking for gates.. (soo early,i know!) i hope you see this. hahah I think it was 4 AM in mine, and 4 PM in yours, remember our good ol’ PM-AM switch? I’m waiting… >.< i can't go to your town because someone's entering at the same time! oh sorry! hope everything goes well soon!